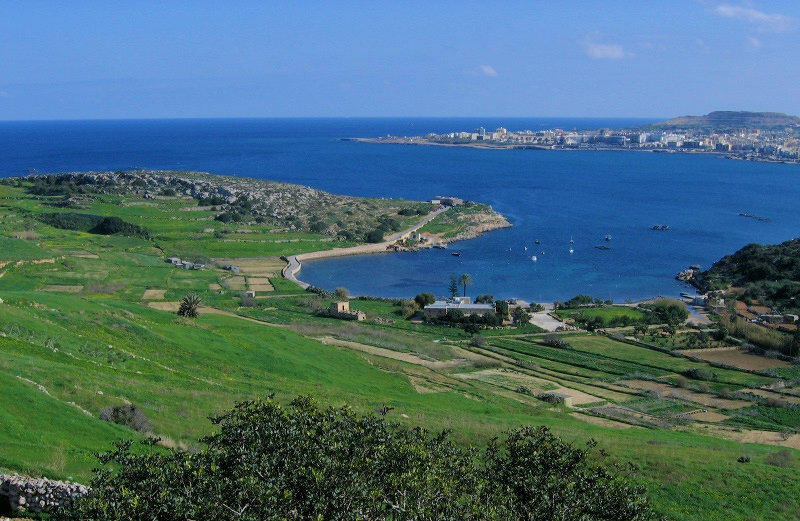 Malta has a beautiful coastline and countryside that has a unique Maltese flavour. 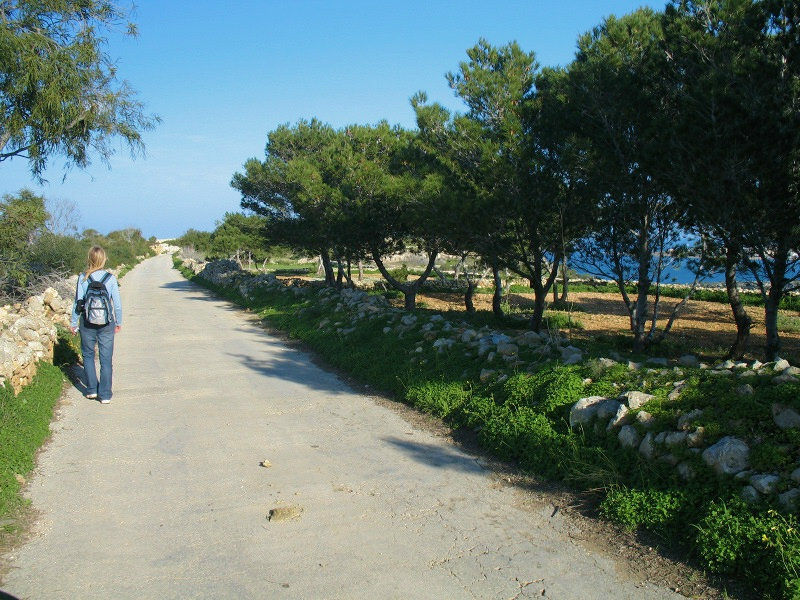 Rubble walls and limestone footpaths provide a distinct contrast from the busy towns. October to April will find the countryside green and abundant with flowers intertwined with a history that covers hundreds of years. We have teamed up with Steve Vella (Dip. Agric. 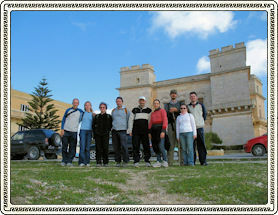 and author of www.maltawildplants.com) to offer guided walks through some of Malta’s beautiful countryside. 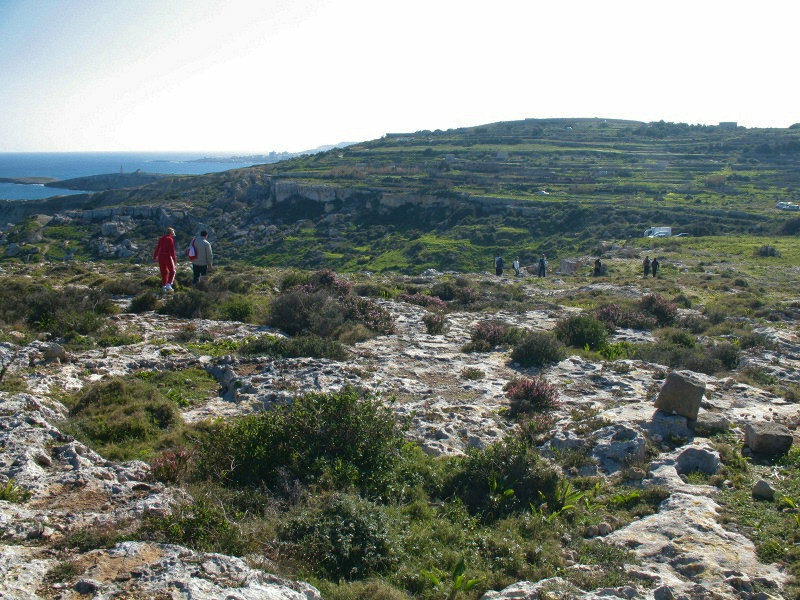 Steve brings considerable knowledge of Malta’s fauna and flora to lead you on the walk and help you experience Malta at its best. We have put together a selection of walks, short and long, for the young and old. 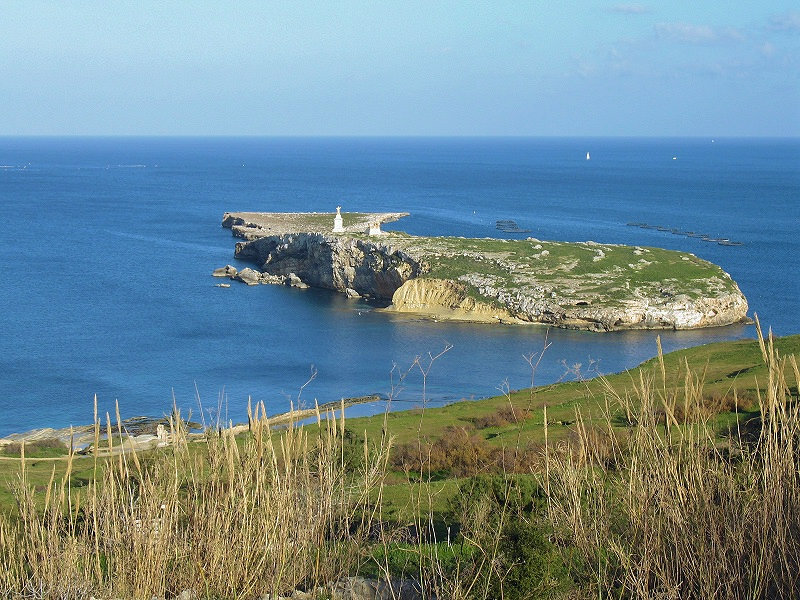 Your walk will be so much more interesting with our friendly guide explaining about the nature you encounter and taking you through several ‘secret’ paths to see the best panoramic sites of the northeast of the island. This is a peaceful walk along grass pathways and rock stepping. 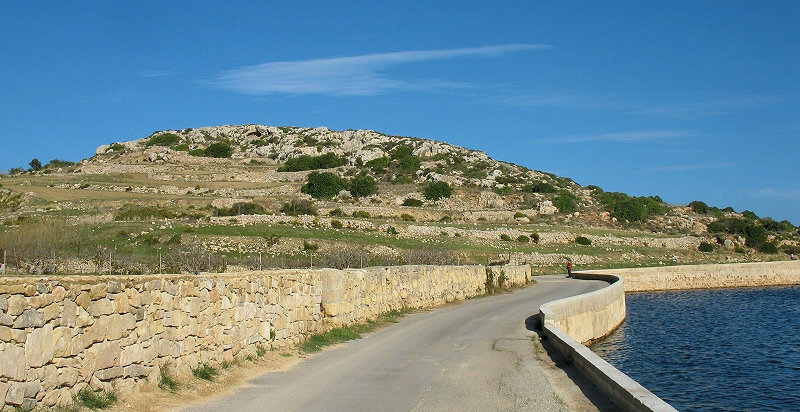 Due to the nature of Maltese topography some pathways are steep. Recommended for any ages and people who are in good state of health and can make long walks. Difficulty level for this 8-9km walk is ranked as moderate. 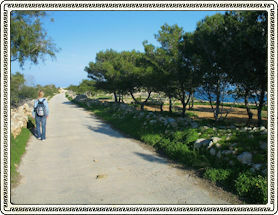 However no fears, as there are several stops during the walk when some interesting plant or panoramic view is met. General knowledge about the islands is given during the walk. There will be ample time for short rests, own-exploration and photography. The leader is an expert photographer himself so you can abuse for some great photos! 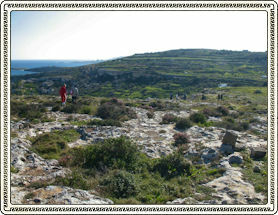 The Mistra area is blessed with a profusion of flowering plants and trees. Depending on the season, one should expect to see, orchids (e.g. Anacamptis pyramidalis, Ophrys bombyliflora and Ophrys fusca), endemic or sub-endemic plants (e.g. species of Romulea, Cistus, Iris, Periploca and more), red carpets of honeysuckle or poppies, snapdragons, asphodels (e.g. Asphodelus aestivus), borages (e.g. the medicinal Borago officinalis and the honeywort – Cerinthe majus), mustards, aromatic plants (mints, fennel, etc), the curious squirting cucumber, and much more. We will also be accompanied by the various fauna that we encounter on our way such as lizards, butterflies and, if lucky, the camouflaged chameleon. We meet at 9:30am at the parking area of the Xemxija Fire Brigade - also known as the Xemxija Civil Protection - very close to Xemxija rebuilt church. An introduction speech is given, while we start our tour in the wonderful countryside of Mistra area adorned by various plants typical of Mediterranean flora. 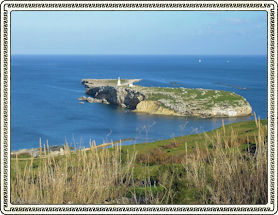 Accompanying our walk are also several spectacular views and natural landscapes. 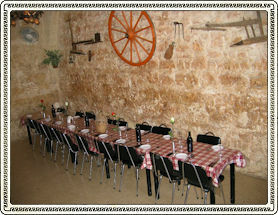 This tour has several sites of a certain geological or historical importance. Our resident expert will fill you in with all details about wild flowers and natural sites explored. 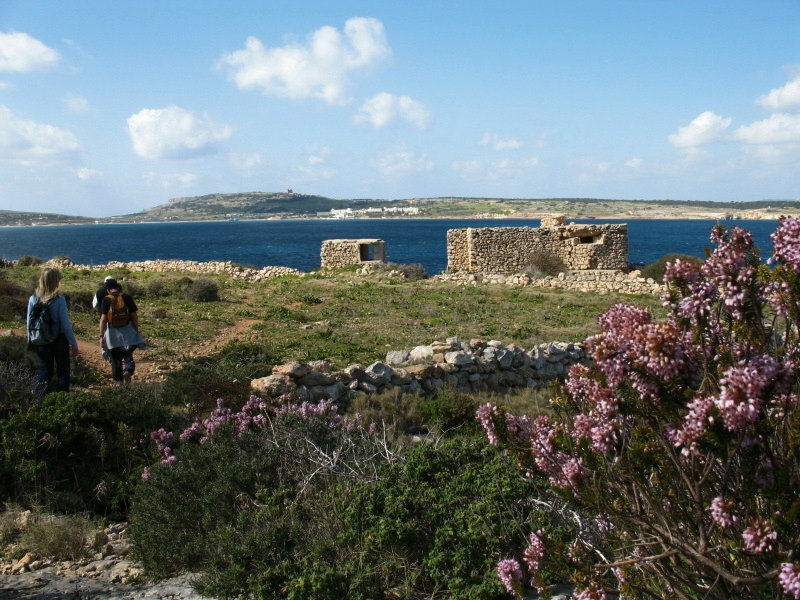 We then arrive at the colourful Mistra Bay, and we walk along the valley lined by the giant Reeds, rushes, and some wild buttercups. Later we climb our way to Selmun Palace in fresh air sometimes fragrant by the French Daffodils. 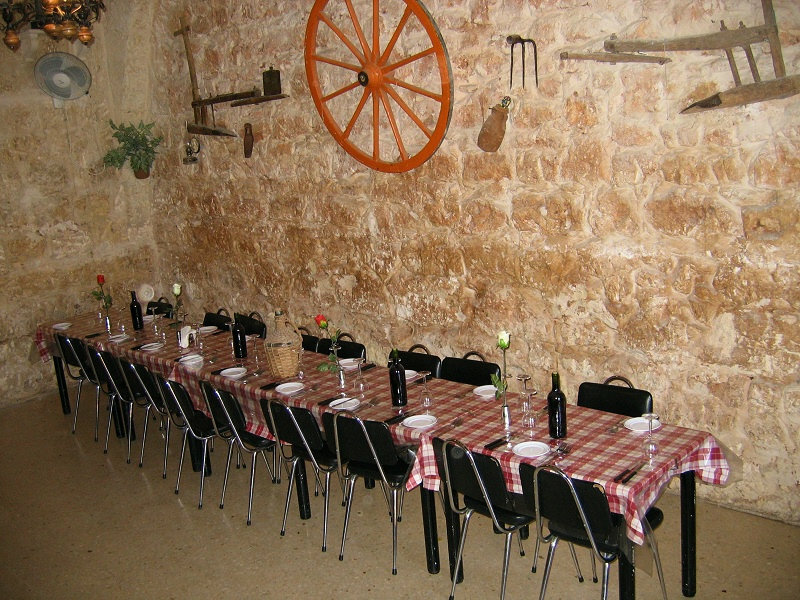 The next part is a walk along agricultural area with numerous fields growing local vegetables and fruit such as artichockes and pommegrantes. 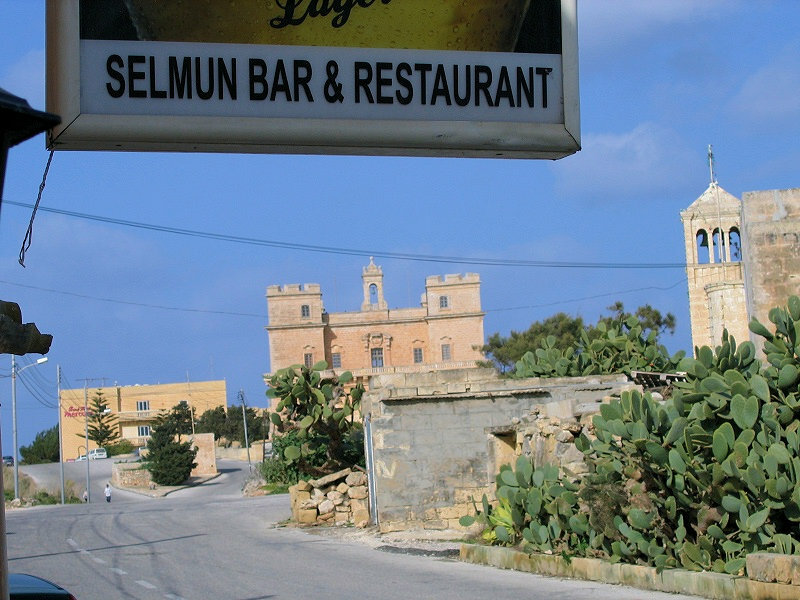 In the afternoon we explore the rocky and high plateaus of Selmun while we walk towards the World War II Fort at the East coast. 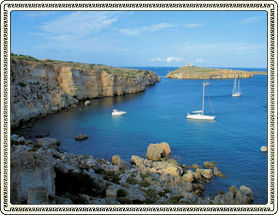 We descent the cliffs along a safe footpath overlooking Saint Paul's Islands (Selmunett). 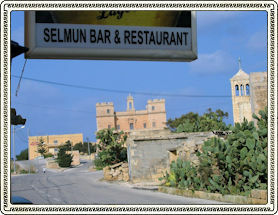 Final leg is a peacful walk by the coast of Selmun/Mistra and back to our starting point. We should finish our adventure around 3:30pm. 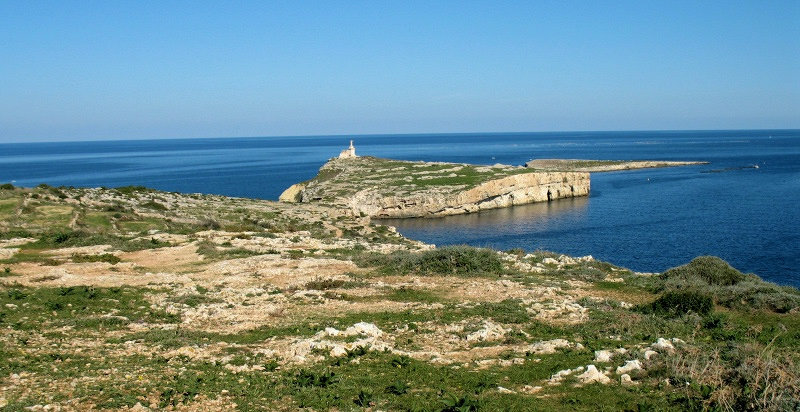 Experience the warm spring climate with cool coastal breeze (ideal for walks) accompanied by vivid colours of Spring Mediterranean nature produced by the numerous kinds of wild flowers. 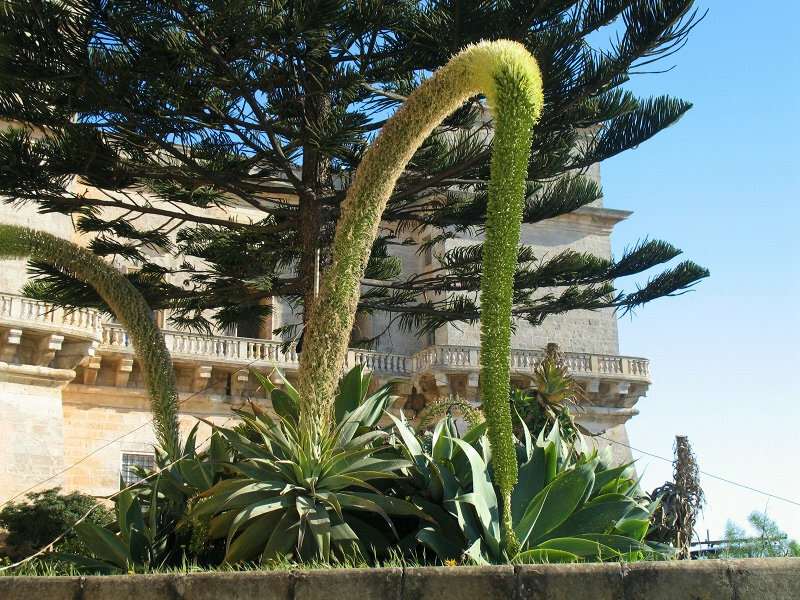 April/May are those months where one finds most wild plant in blossom and so considered as the climax for exploring wild life on the maltese islands. Some 200-300 wild flowers can be met in just one tour! N.B. this tour stops operating from 15th June as it becomes too hot for full day walks. 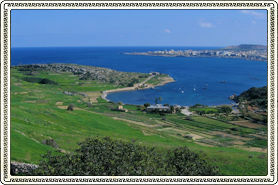 Picturesque view of Mistra Bay and Selmun area in hues of blue and green during winter and spring. 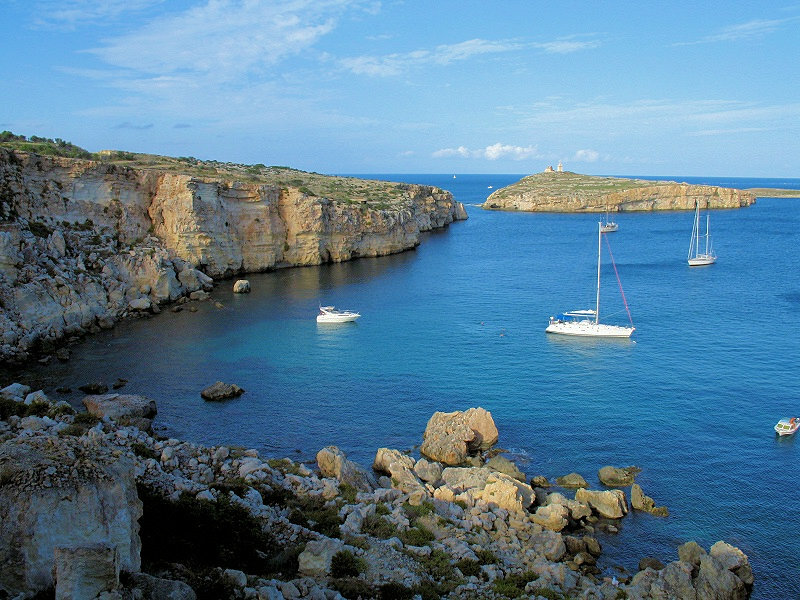 This area is characterised by several limestone slopes and cliffs that offers many scenic views. Cliff edges are part of our guided tour and they give lovely views like this, azure sea and St. Paul's islands further away. Other parts are slightly more roughly terrained as seen here but compensated by air filled with native herbal aroma or flower fragrance along most of the way in the countryside. 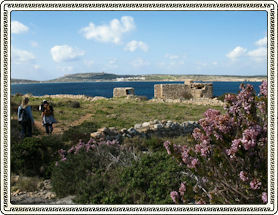 The Mediterranean heather, with conspicuous pink flowers, is a delight of many tourists. 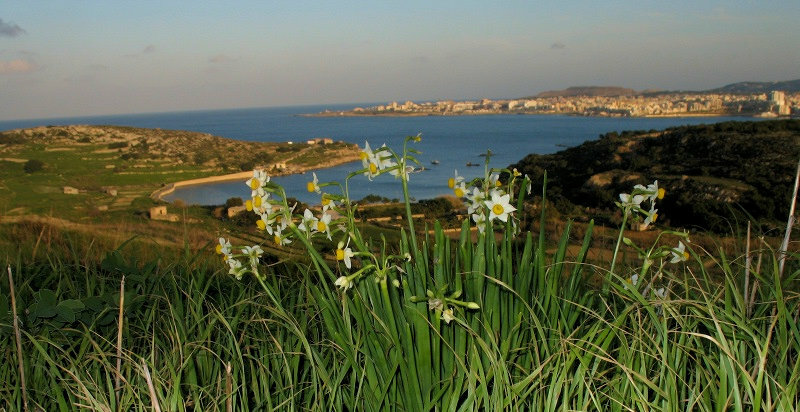 In Winter, we would encounter the native French daffodil, one of the most elegant and fragrant flowers in Malta. Mistra at the background. 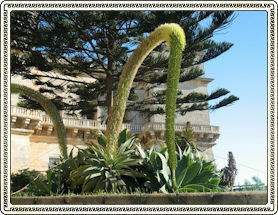 On the other hand, we also meet strange non native species (alien plants!) like this large Agave. Places of historical or archaeological importance are part of our way. 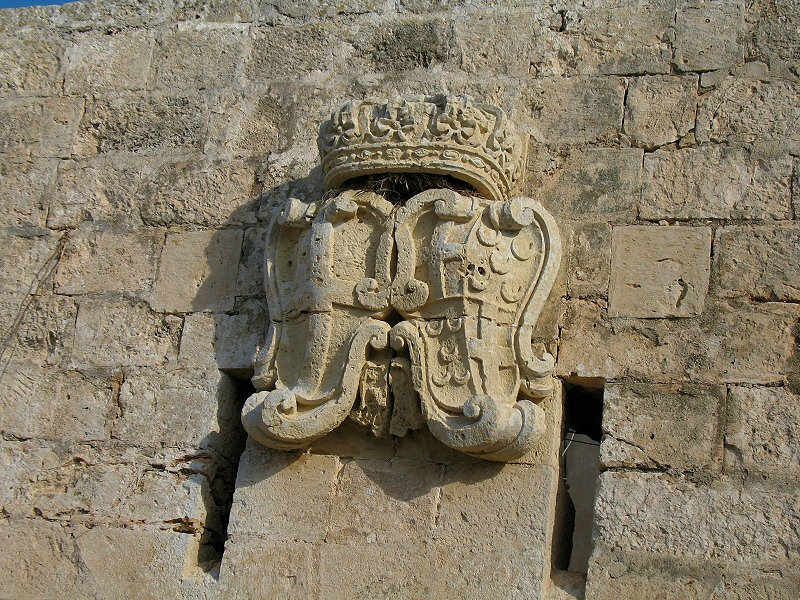 This is the coat of arms of the GrandMaster Pinto of the Order of Saint John on a 17th century redoubt. 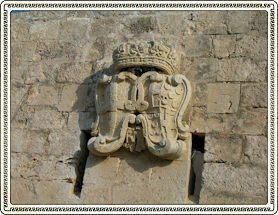 Here is another masterpiece from the Order of Saint John - the palace of Selmun. On our way there is a Restaurant from where one can buy drinks, snacks or need of public convenience. Ocassionally, some tours included a lunch from this restaurant, but it takes 90 mins from the walking tour and all tourists wanted this option. 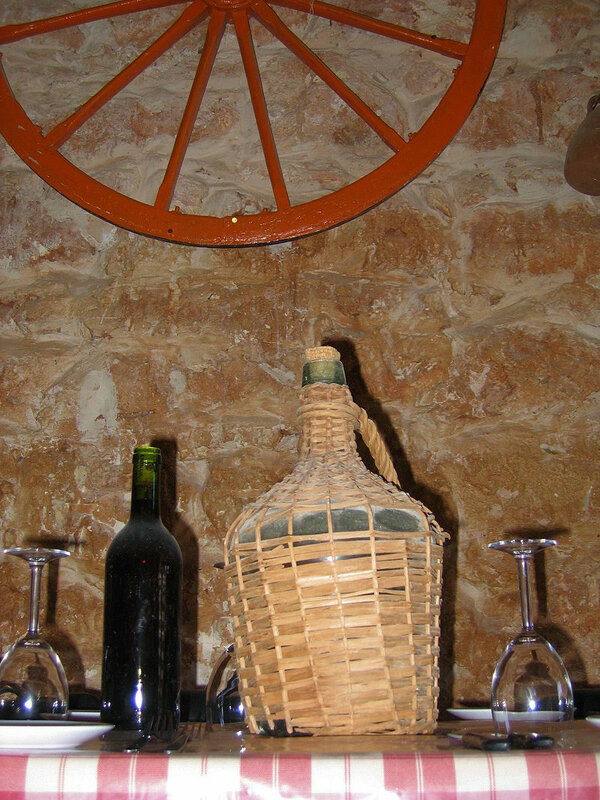 Traditional wine-making recipients also from the same restaurant. 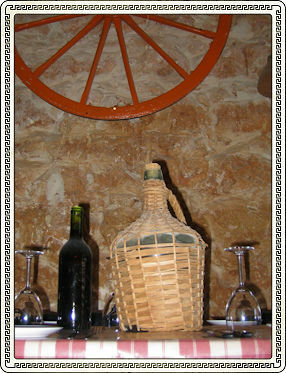 Photo from one of the previous tours. 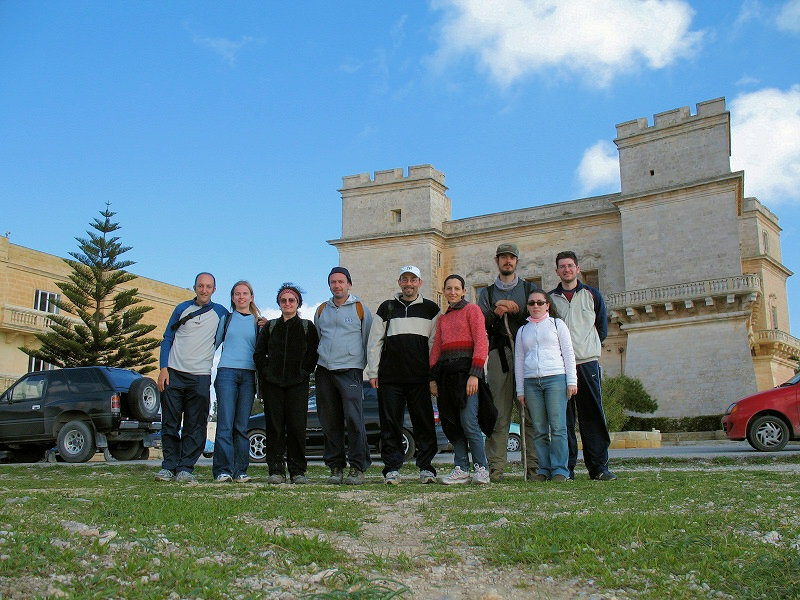 Group photo near Selmun Palace in Spring 2007.